This talc-rich rock has a soft, soapy feel -- hence its name. Victorians loved it for sinks and countertops - and recent generations have rediscovered it as well. Vermont and New Hampshire were the traditional center of the soapstone mining industry in the U.S. - and much of it still comes from this region. What started out as a master's degree thesis in local economics is now a thriving business producing innovative countertop slabs and tiles that resemble soapstone or slate. Squak Mountain Stone, of recycled paper and glass, coal fly-ash and cement is the signature and only product of this Washington company. Danish imports Niels and Alyce Wittus settled in New York 30 plus years ago to pursue their dream of designing, importing and selling fine European heating stoves in America. The company's extensive line of solid fuel stoves includes wood and pellet burning stoves in traditional and contemporary styles. Danish company with a US division has been designing and producing wood stoves since 1853. Sleek cast-iron Scandinavian-style stoves are produced using 98 percent recycled materials. Manufacturer of wood, gas and pellet stoves for heat and cooking. Wood stoves are non-catalytic; pellet stoves feature soapstone panels. Original soapstone quarry and fabricator in the country still quarries in the Vermont mountains. Products include countertops, sinks, floor tiles and fireplace bricks. This fabricator of custom countertops specializes in soapstone, granite, Corian�, quartz, marble, and wood countertops and surfaces. It serves the residential market from New Haven, CT, to Amherst, MA. This company produces sinks and custom countertops from natural soapstone, slate, granite and marble. 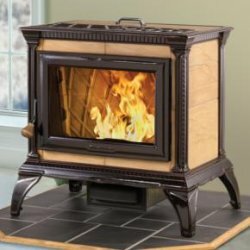 Operated by well-known Rumford fireplace specialist Jim Buckley, this site dispenses knowledge about Rumford fireplaces - and also sells a variety of hard-to-find, Rumford-specific products ranging from doors and screens to soapstone fireboxes and fireplace cranes. Importer and fabricator of natural stone slabs and tiles, including marble and limestone. 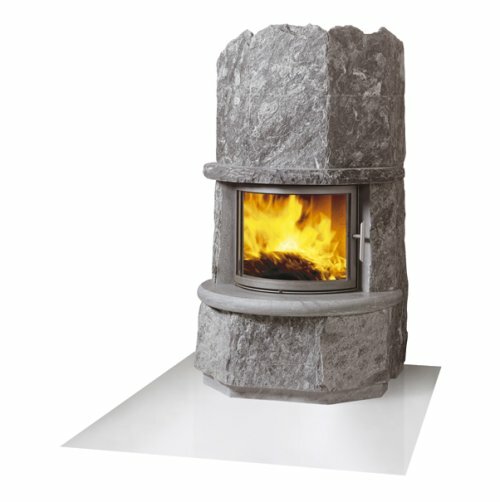 With 30 years as an importer of Danish quality fireplaces and stoves to America, this company takes pride in improving and developing new European products that maintain a tradition of an efficient alternative stove (Br�ndeovn, in Danish) and combine the modern styling with state-of-the-art technology. Distributors for Tulikivi Finnish soapstone fireplaces, bakeovens, slabs, tile and firebrick, with operations throughout the Mid-Atlantic and Southeastern United States from facilities in Virginia. A smaller, lighter version of a Finnish soapstone fireplace.